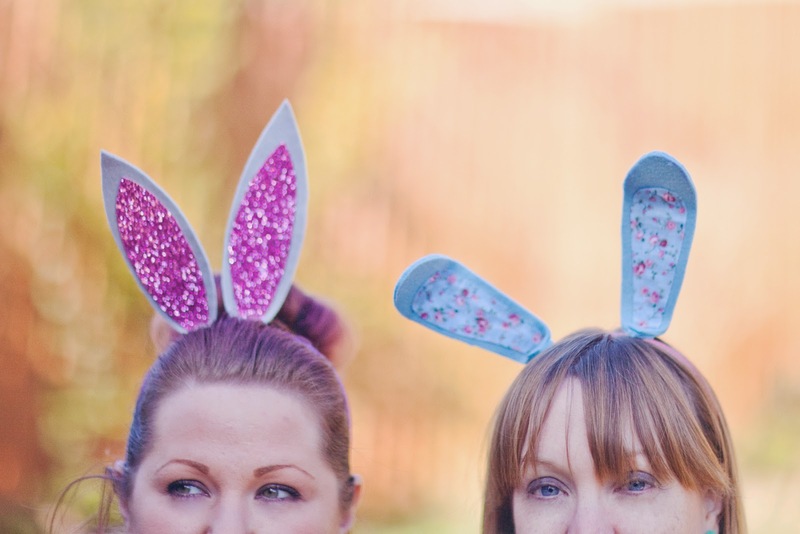 Today we bring you a crafty classic DIY for your Easter weekend... Bunny Ears! 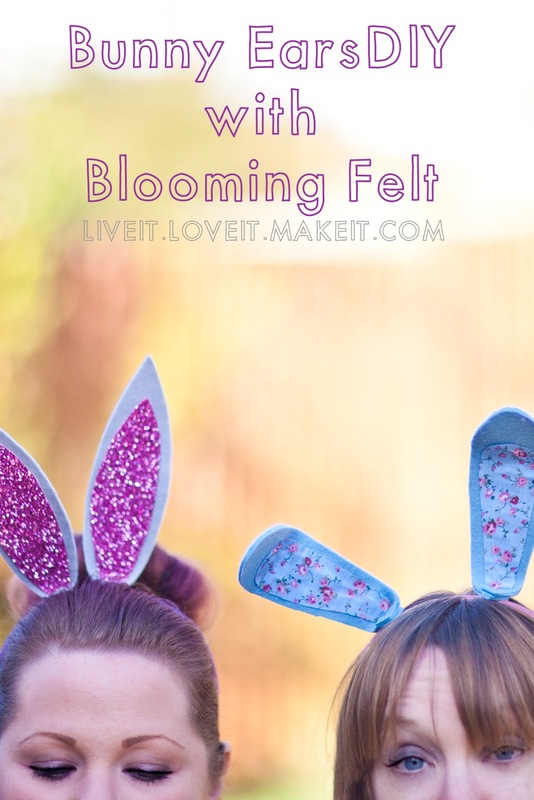 With the help of Blooming Felt we are going to show you how to whip up a pair for you to wear for lunch on Easter Sunday or Monday with your family. 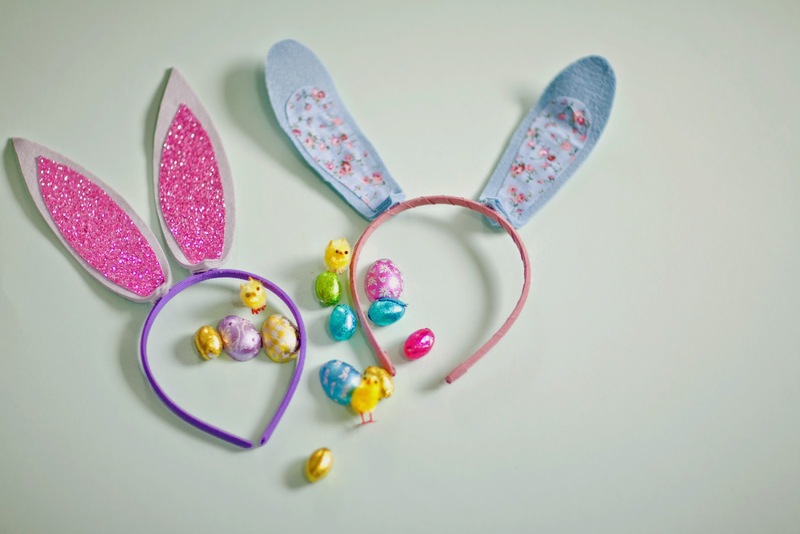 These would also be great if you are hosting an Easter egg hunt for your little family members like H and I are. Lets get to it! 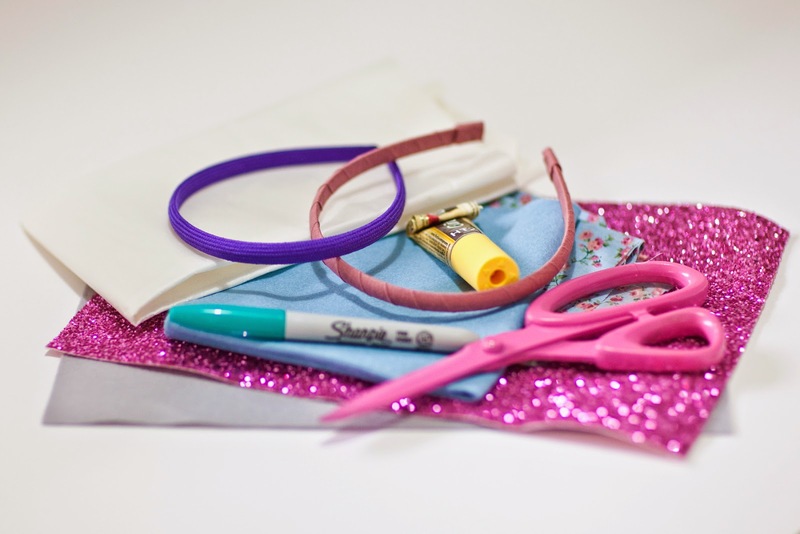 You will need: Felt, Contrast fabric, a Sharpie or vanishing marker, glue, bondaweb, Wire, Scissors and a Hair band. We started by bondawebing two sheets of felt together to make it stiffer, then we marked out our ear shapes on the felt. Make sure you leave room for two tabs at the bottom of each ear shape to attach them to the band. Cut out your ears. Next make two loops from your wire and glue them to the middle of your ears, this will mean you can bend them into cute expressions later. 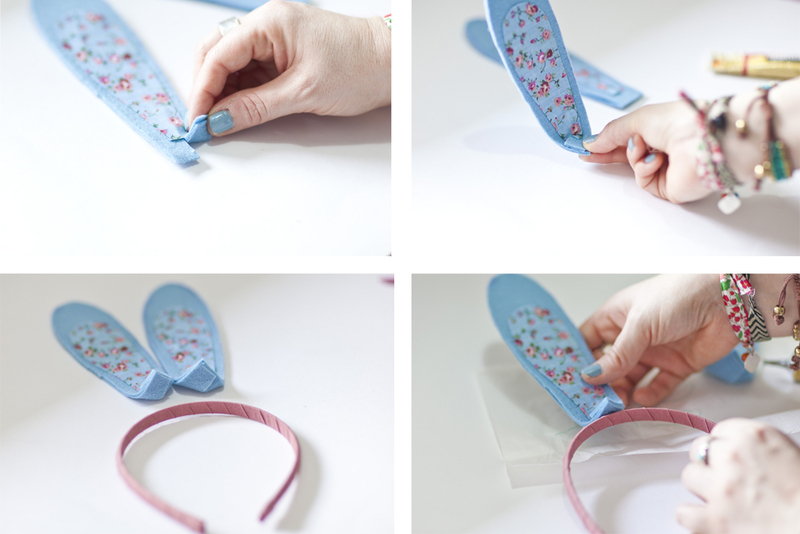 Take your contrast fabric and draw around your felt ears. Next, cut around the ear shapes you have drawn on the contrast fabric, cut a little inside the line so you will be able to see the felt around the edge, but make sure it will still cover the wire. Then glue the fabric down over the wire and leave it to dry. Once your glue has dried, cut a slit into the tab you left at the bottom of each ear. Pop a dab of glue onto one side and flap the other side over it at 90 degrees. Again wait for the glue to dry before the next step. Take both ears and play around with the position. Once you like where they are going to sit on the band, glue them in place. There you have it, the perfect Easter accessory. If you like my glitter ears they are in exactly the same way as H's blue ears using my fave glitter fabric as the contrast. 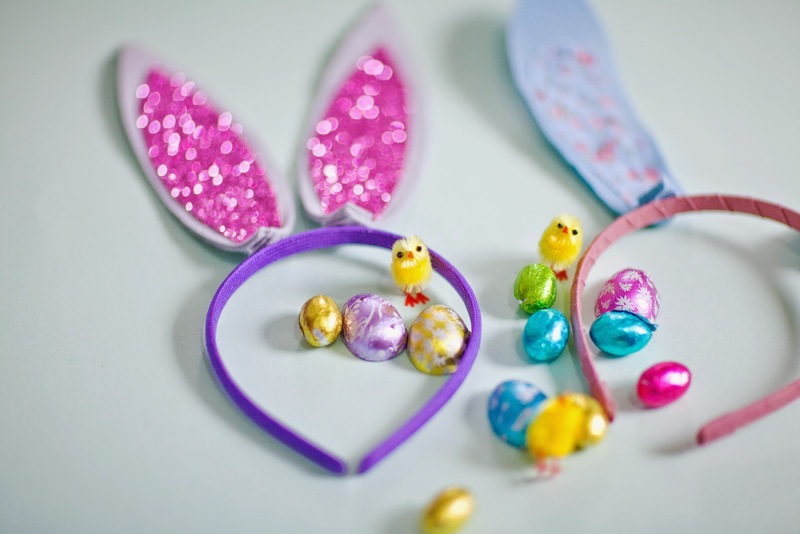 Wishing you all a lovely Easter weekend, what are you up to, are you taking advantage of the long weekend by having a go at some crafts of your own?? Let us know in the comments what you are up to. We read every comment and reply to as many as we can.